Picking up on the oaf Johnson's resignation, Channel 4 "fact check" has reheated its earlier 2016 piece on his comments about cyclists, reproducing almost verbatim their assertions about his lack of grasp on EU vehicle safety issues. Since then, the authors have learned nothing – and as a result add nothing to the debate. Even in 2016, to discuss vehicle safety in the EU context without also bringing in UNECE and WP.29 was a mistake. To repeat it more than two years later is more than a mistake. It is negligence of the first degree. If Channel 4 was really interested in facts, rather than cheap-shot polemics, it would have found out more. After all, it had a good steer from the prime minister. But when she knows about UNECE and one of the supposedly premier "fact check" services doesn't, there is something seriously amiss. What we've got, therefore, is an illustration of why the Brexit debate isn't progressing. Not only do we have in the media a level of ignorance so profound that you could cut it with a knife, there is no movement. It is as if the information they have is preserved in aspic, never to change for all time. Once a factoid is lodged, it is with us forever. It cannot be altered and it cannot be removed. Not only is the knowledge base static, though, it is – as we have remarked before – determinedly Brit-centric. Even now, six days after the cabinet Chequers meeting, most of the press coverage on Brexit is so tediously Brit-centric that it is almost as boringly predictable as the world cup - although chess has never really been a spectator sport, even if the final went to a tie break. However, when the debate is allowed to break out of the bubble, we get some interesting results which benefit both writer and readers. I certainly know more about WP.29 and UNECE than I ever did, and we're building here a constituency of knowledge which clearly outstrips anything the politico-media nexus has to offer. Between us, there is probably more understanding of key issues than you will see anywhere else. Some of the details we confront are challenging. Looking at WP.29, for instance, the insight which comes with prolonged exploration of the detail takes us out of our comfort zones and in areas where conventional wisdom (if it actually exists on such arcane issues) no longer holds. In summary, one has to say that the World Forum for Harmonization of Vehicle Regulations, stemming from an agreement in 1958, could be considered a failure or, at the very least, work in progress – either of which has important implications for us in a post-Brexit environment. The thing about this blog though, is that I don't have to set myself up on high, talking down to the lower orders from a position of unreachable superiority, where I cannot be wrong and therefore never have to correct anything of substance. In an incredibly complex field, this is a learning process which means that we (myself and my readers) are stumbling through a maze of information finding out things as we go. The relevance and particular interest of this issue is that the first WP.29 agreement, signed on 20 March 1958 was an attempt to create a common market for vehicle equipment and parts – an instrument which came into force just as the 1957 Treaty of Rome establishing the EEC was coming into play. The focus of the EEC and its common market, of course, was the elimination of tariffs and "quantitative restrictions" (quotas). The Single Market wasn't to be established until 1993 yet here, 35 years earlier, we had a UN organisation based in Geneva, setting of a system "concerning the adoption of uniform conditions of approval and reciprocal recognition of approval for motor vehicle equipment and parts". This, therefore, was an attempt to tackle the non-tariff barriers which the EEC and then EU was not to focus on for many decades. The first agreement was a relatively modest affair of 17 pages, written in French and English. The actual English text runs only to five pages. 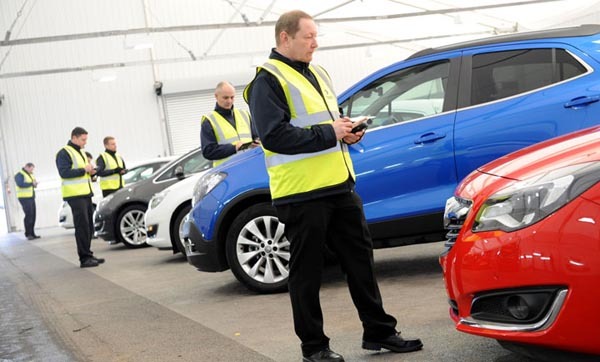 The way that it worked was to set up a standard system for approving motor vehicle parts, on which basis regulations were drawn up, which were then recognised by all the parties to the agreement. There was no compulsion involved. Merely a system whereby, if equipment and parts were produced to a common standard and approved by any one party to the agreement, all the other parties would recognise the approvals. It is worth noting here the terminology applied. This was not "mutual recognition", where parties recognised each other's standards. It was "reciprocal recognition", where uniform standards applied in any one country were recognised in all the others which were party to the agreement. The distinction is quite important, especially as UNECE now confuses the issue by using the terms interchangeably. As to the 1958 agreement, was not a fixed document. Unlike the EU, which agreed a succession of new treaties, this one was constantly revised, growing in scope. By 1995, just after the completion of the EU's Single Market, we had Revision 2, which had grown to 12 pages of English text. It is in this document that we see references to the concept of "type approval", formalising an administrative procedure "by which the competent authorities of one Contracting Party declare, after carrying out the required verifications, that a vehicle, equipment or parts submitted by the manufacturer conform to the requirements of the given Regulation". What then gets really interesting is Revision 3 bringing us right up to 20 October 2017, the agreement having grown to a massive 43 pages of English text (including the header sheets). Of the many developments, we see the Agreement breaking out of its earlier limits, where it applied only to equipment and parts. Writ large is a commitment to establish an International Whole Vehicle Type Approval scheme (IWVTA). No longer content with just the bits, UNECE, via its WP.29, was moving into the whole vehicle business. As far as I can make out, though, this was actually a Japanese initiative. The concept was introduced to WP.29 in November 2007 and the proposal for the scheme was unanimously approved in November 2009. An informal group was established in March 2010 co-chaired by Japan and the EU. The IWVTA scheme has since been formalised as Regulation No.0 (Regulation Zero) but, eleven years after the concept was introduced, it is still nowhere near fruition. The latest development is that we now have a "Phase 2 Informal Group" and it will "come up with a roadmap toward a full IWVTA by November 2018". There is no date set for completion. It is to that extent that WP.29 can be considered a failure. But one also bears in mind that the original title, adopted in June 1952, was the "Working Party of experts on technical requirement of vehicles". Its current "World Forum" title was not adopted until 2000. It is that which cements a second level of failure, where the objective is clearly global harmonisation. The Holy Grail is a system whereby any vehicle approved in any one country will be accepted in any other, throughout the world. But, where UNECE has manifestly failed to engage the United States or Canada (or Brazil for that matter), it can be regarded as a global system in name only. However, alongside this, the European Union decided to align EU legislation to UN Regulations and UN GTRs, formalising a direct link in its own legislation to UN Regulations via Regulation (EC) No 661/2009 (see page 85). With the EU highly active on WP.29 technical committees, and the voting strength of the EU bloc, this has had the unfortunate side effect of transforming WP.29 into the tame "house regulator" for the EU. As an option for the post-Brexit UK, therefore, involvement in WP.29 is not optimal, as it still keeps the UK within the regulatory orbit of the EU. Nevertheless, as I outlined yesterday, direct involvement of an independent UK does give us more control than we have at present. The optimal outcome, though, is the completion of the IWVTA scheme, so that the UK is no longer dependent on the EU's type approval system before it can market vehicles in the territories of the EU Member States (or elsewhere in the world). And, in pursuing this, we would have in Japan a natural ally, which has the same objective and must be frustrated at the slowness of the progress. Then, as also mentioned yesterday, a successful WP.29 could provide a model for other global harmonisation ventures, with the prospect of considerable economic dividends. And it is such issues that should now be front and centre in the Brexit debate, instead of sterile, repetitive tedium to which the politicians and media have condemned us. There is life outside the EU, and there is more to global engagement than the tired concept of the bilateral free trade agreement. That we are still stuck in a rut is an indictment of the entire system in the UK, from the politicians and media, to the think tanks, academics, policy wonks and industry groups. None of them are contributing anything constructive to the debate and it as a sad reflection that it is left to the blogs to do their work for them. It is fair to say though, that until we break out of this rut, the Brexit debate is going nowhere.